A tricky par 4 where scores over par shouldn’t be shamed. 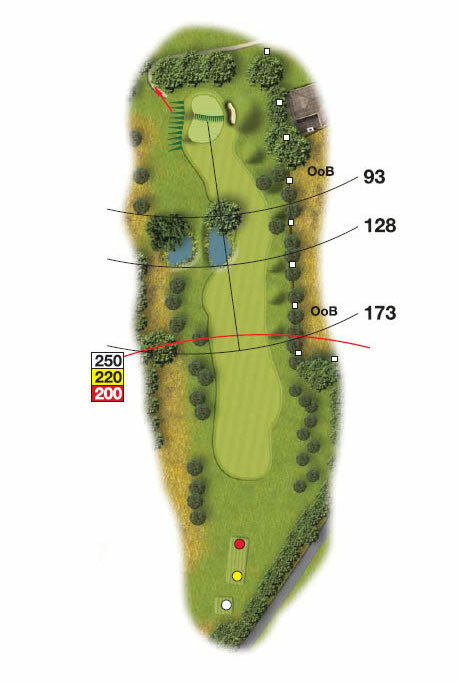 An intimidating tee shot with trees left and right requires an accurate eye. This fairway runs away to the left. Leave yourself at the lower end of the fairway to open up an approach to the raised green.